Every month on the third Monday. 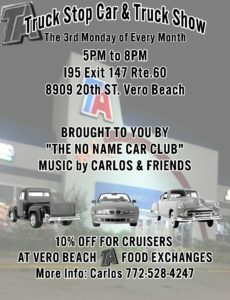 Hosted by the No Name Car Club. 50/50 raffle for local charity and four restaurants to choose from.